Thinking About Selling Your Colorado Property? If so, we think you should know about our philosophy on the marketing of your investment. It seems every REALTOR has a different view on what an aggressive marketing program is all about, but getting top dollar and getting your property sold in the shortest amount of time IS ALL about marketing. For some agents an “aggressive marketing program” is simply a matter of putting the property in MLS, running a few ads, and hoping for the best. 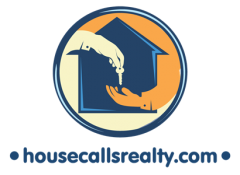 For the House Calls Realty Group, it’s a comprehensive plan that takes advantage of every available marketing avenue to get the property noticed, and subsequently sold. Being a “Marketing Specialist” requires knowledge, a background of education, and hands-on experience to create, implement & follow-through with a real marketing plan. Our work ethic and “real world’ marketing experience has proved invaluable in getting our clients property noticed and sold! We have the knowledge, the experience, and the education to create & implement a real marketing program to accomplish your objectives! CLICK HERE TO READ ABOUT THE EASY EXIT LISTING PROGRAM! A marketing plan for quick action. Professional techniques to “showcase” and “merchandise” your property. Effective and successful contract negotiation process. After contract follow through with support professionals to insure a smooth closing.